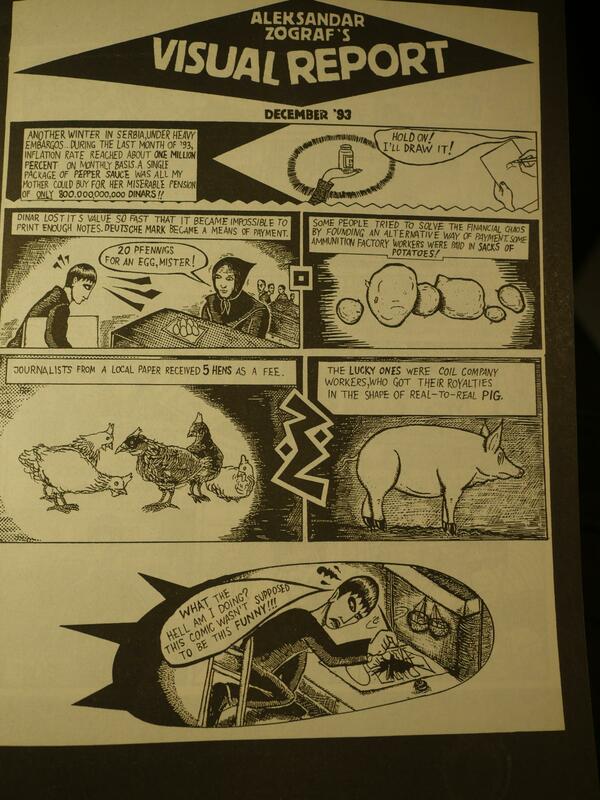 Life Under Sanctions, Psychonaut #1-2 by Aleksandar Zograf. 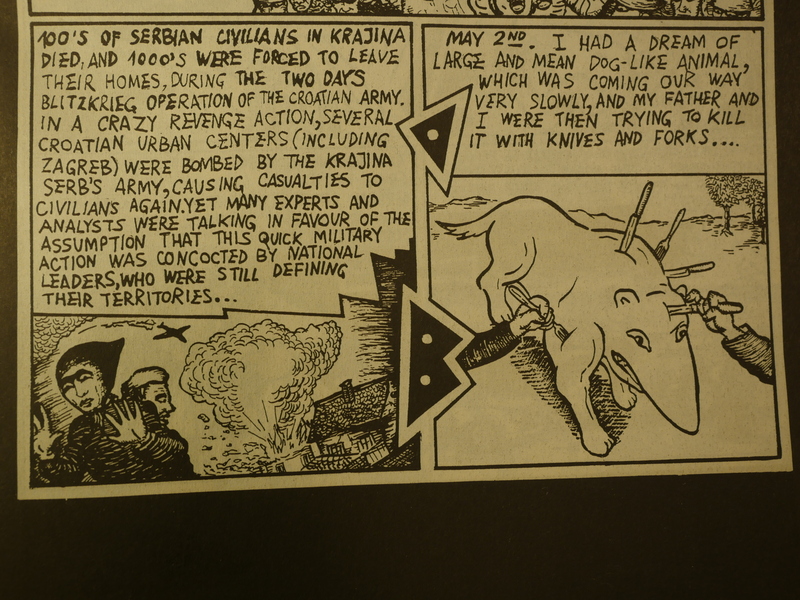 These comics were written during (and after) the ex-Yugoslavian wars in the early to mid nineties, and are like despatches that try to explain what’s going on. 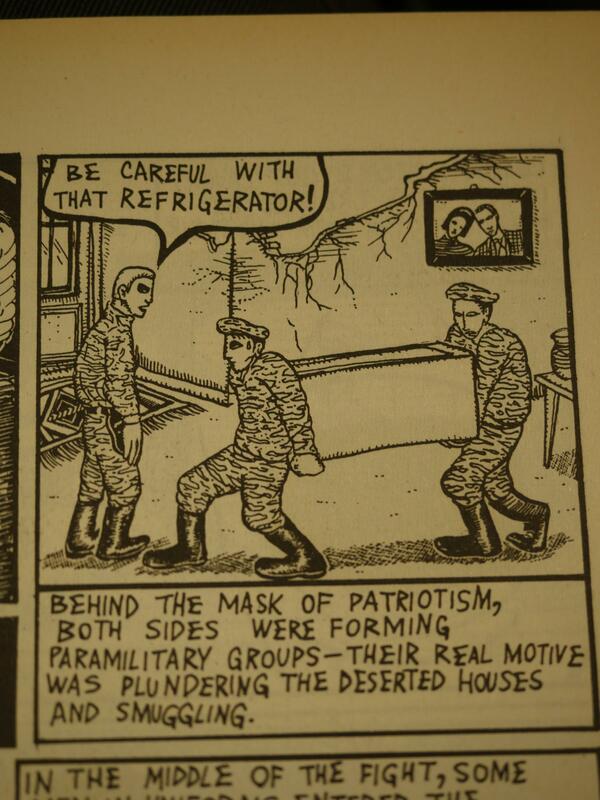 Jim Woodring provides the introduction, which you might think is an odd choice for a book about war. But Zograf is a very introspective artist, and writes as much about his dreams and hypnagogic visions than he does about war. Zograf’s art is somewhat primitive, but filled with symbols and strange emanations. He also puts these intra-panel symbols on most his pages (here there’s just a simple triangle, but they can become quite complex). 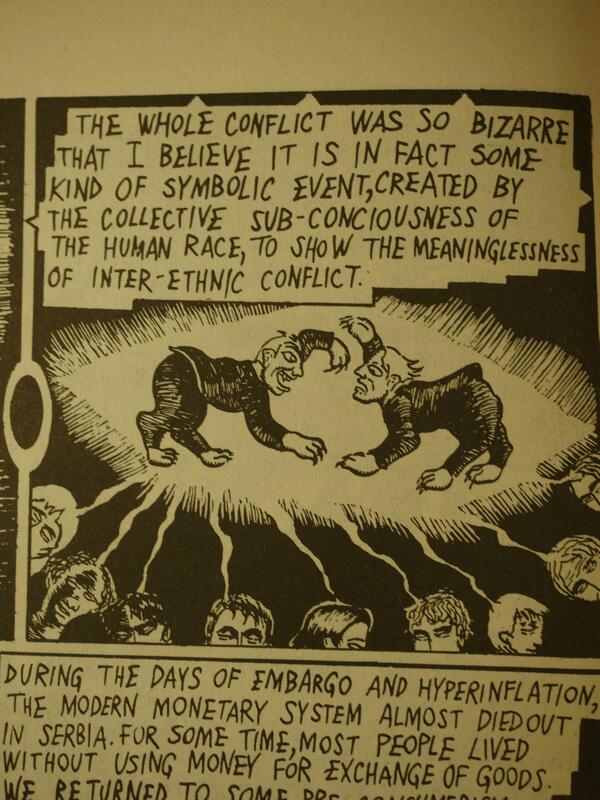 Zograf’s analysis of the war, however, isn’t really that insightful, I’m sorry to say. That is, I don’t really feel I’ve learned anything much from reading these comics that wasn’t readily apparent anyway. It may also be because of Zograf’s approach internal. These two panels are a good illustration of what he’s doing: The first panel is basically a summation of what Zograf has (I would guess) read in the newspapers. 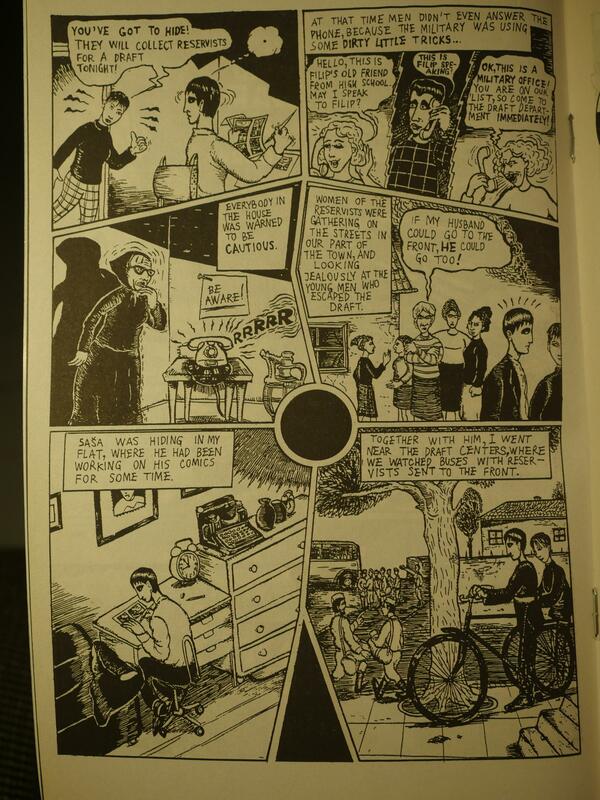 The second panel is about one of Zograf’s dream. 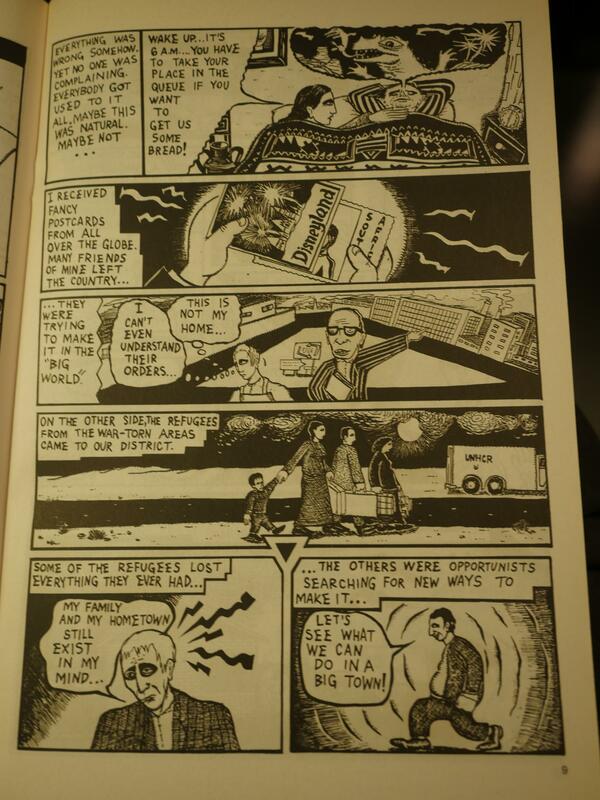 There’s very little about what Zograf or his friends are actually experiencing during the war. The few short pieces written by Gordana Basta are very different. (Zograf is Basta’s boyfriend, and the Saŝa mentioned is Zograf’s real name, I think). She writes about what’s happening to them personally, what she’s seen while out working as a nurse, and what people are doing. It’s a strikingly different storytelling approach. Zograf can be kinda funny, though. 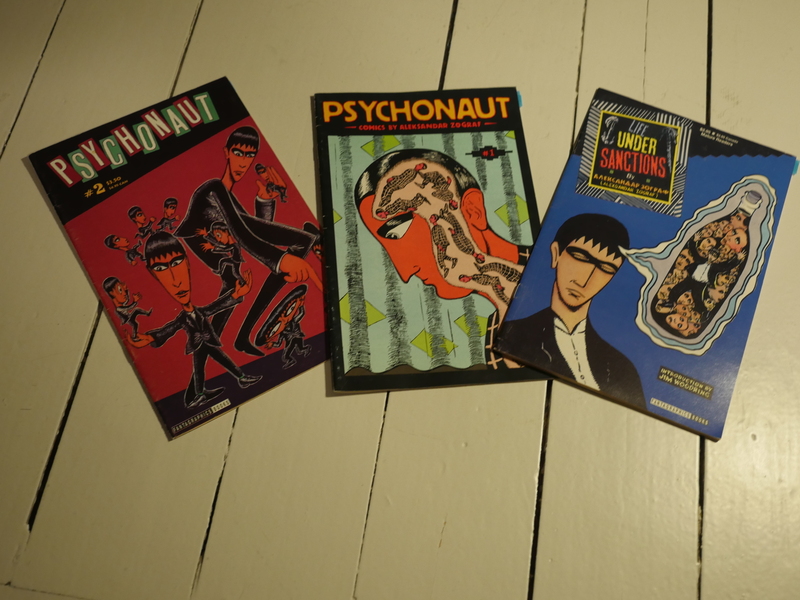 A third issue of Psychonaut was published by Monster Pants Comics, and Zograf has continued to publish in English occasionally. 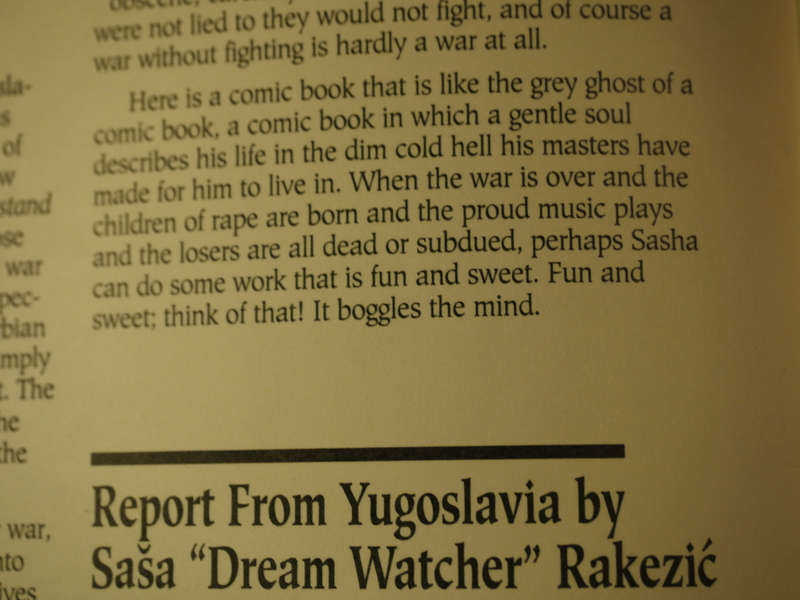 The last book was apparently Regards from Serbia from Top Shelf Productions in 2007.